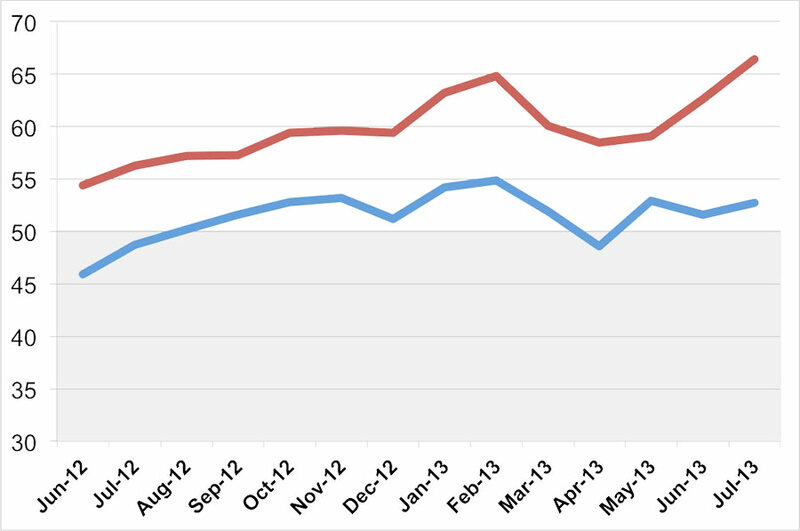 Summer isn’t slowing the demand for design services, according to the AIA’s latest economic figures. In fact, numbers are on the rise. The AIA’s Architecture Billings Index (ABI) for July increased more than a full point spike in non-residential construction activity from June’s ABI score of 51.6 to 52.7 (any score above 50 indicates positive growth). 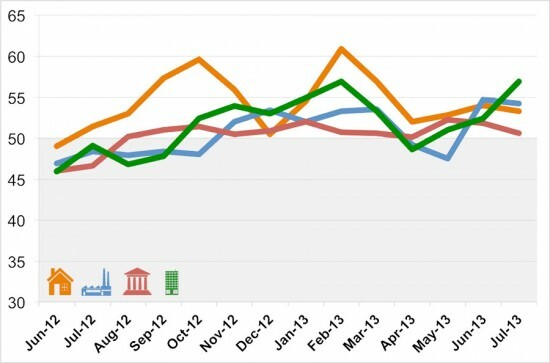 Most notably, the new projects inquiry index produced positive results with a substantial increase from 62.6 the previous month to 66.7 in July. 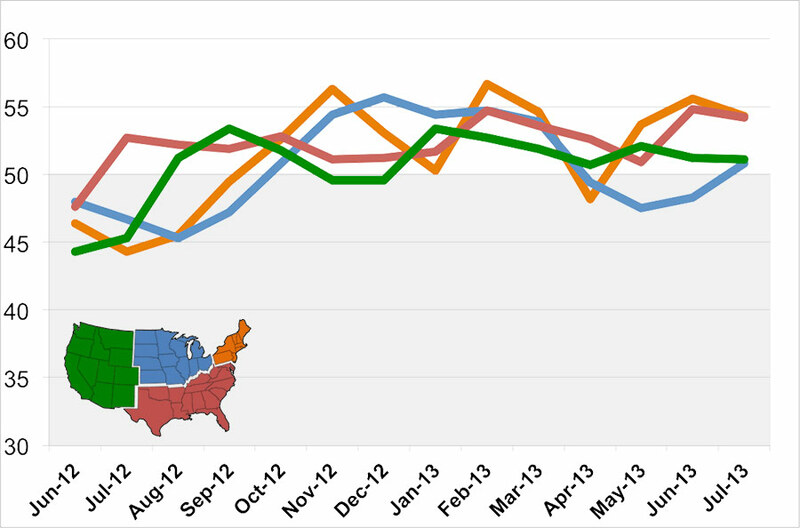 While numbers lapsed in most regions in July, the Midwest came out strong climbing to 50.8 from 48.3 in June. The Northeast fell more than a point from 55.6 in June to 54.3. The West slipped ever-so-slightly from 51.2 to 51.1. And the South dropped to 54.2. Mixed practice was the only sector to pull through and show significant progress shooting up more than four points to 56.9 in July. The other industry sectors experienced a small decline: commercial / industrial (54.2), multi-family residential (53.3), institutional (50.6). 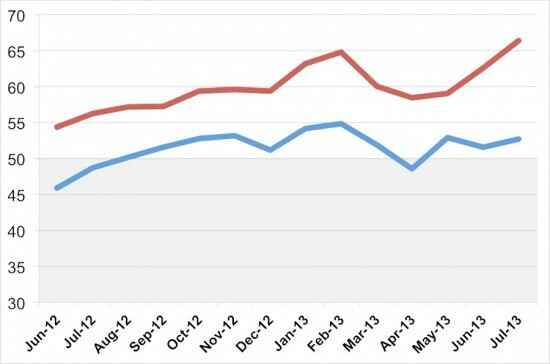 In spite of the industry’s promising growth, the same positive trend has not been reflected in the compensation for architecture positions. 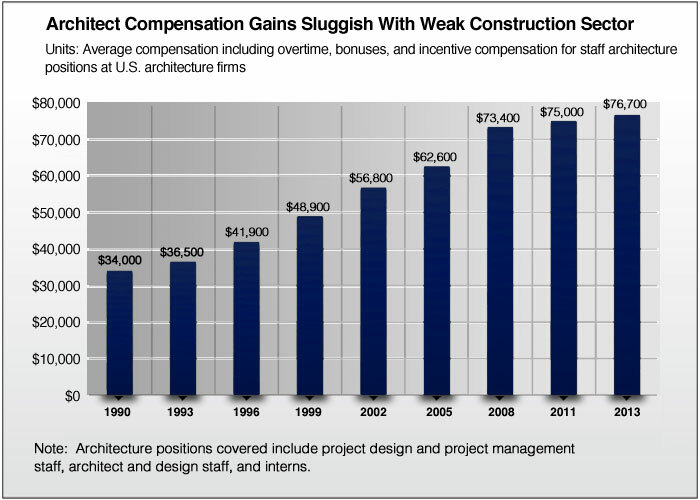 AIA published its recent compensation survey, revealing minimal change in salaries since the recession in 2008. “Between 2011 and 2013, average total compensation for architecture positions—including base salary, overtime, bonuses, and incentive compensation—increased only slightly over one percent per year, barely more than the average increase in compensation between 2008 and 2011, when the construction sector was still in steep decline,” the report read.